soldiers of the Civil War. It is a day of remembrance for those who have died in our nation's service. 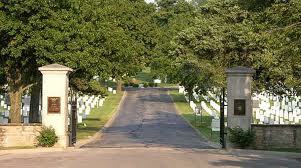 Veterans of all wars are buried here. On Monday, you'll find us here at 10:30 a.m.
for the Memorial Day Service.